Siwertell was awarded this contract for the supply of a continuous limestone ship unloader to Hyundai Heavy Industries for KEPCO, South Korea. 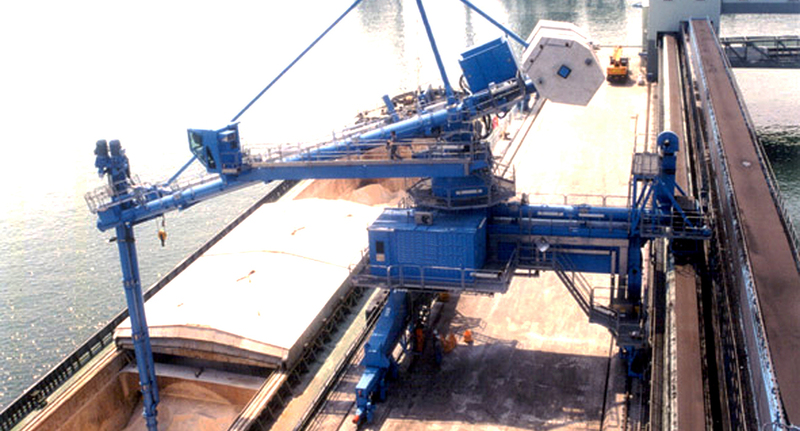 Thanks to its totally-enclosed conveyors and specially designed safety system, the unloader is an environment-friendly addition to the port. The unloader was delivered in major parts from Sweden for erection and commissioning at Hyundai’s plant in Ulsan. From Ulsan it was shipped as a complete unit ready for operation at KEPCO’s Power Station in Hadong. The purpose of unloading limestone at the coal-fired power station is the Flue Gas Desulphurisation (FGD) system. In the FGD process, sulphur dioxide from the flue gas of the boilers is removed by using limestone as a reagent and producing gypsum as a by-product. 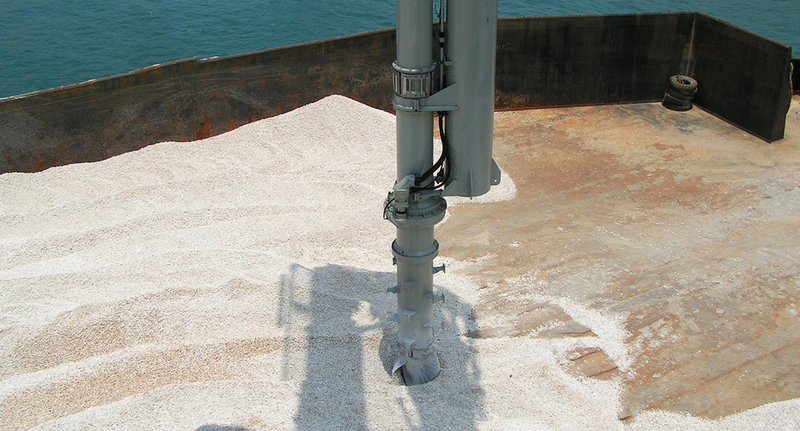 The Siwertell continuous, screw-type ship unloaders have an enclosed conveying line with sealed transfer points. In addition the unloader at Hadong has a fully supported belt lifter with a dedusting system at its end. These features, combined with limited noise emission, ensure an environment-friendly operation. The unloader is also equipped with an anti-collision hatch coaming system, specially designed by Siwertell, which provides the operator with an additional protection advantage preventing damage to the unloader as well as of the ship to be unloaded.